In a wave of anti-Arabism, Renaissance humanists sought to literally cleanse the scientific field of Arabic influences. To illustrate the proceedings of this cleansing campaign, we will examine it in the field of medicine, as described by historian Nancy Siriasi (Nancy G. Siraisi, Avicenna in Renaissance Italy: The Canon and Medical Teaching in Italian Universities after 1500, pp. 66-77. 1987). Petrarch in the fourteenth century condemned medicine itself as “Arab lies”; after him, several themes would develop in the rejection of Arabic medical literature. The obvious charges were concerned with the supposedly heretical nature of the religion or philosophy of the authors. Arab writings were deemed “obscure”, erroneous, and a corruption of the “pure” Greek sources. Arabic borrowings in botany and pharmacology came to be seen as confusing, and perceived traces of the Arabic language itself were condemned as “coarse” and “barbaric”, when compared to the Renaissance ideal of classical Latin. The University of Alcalá de Henares stopped teaching Avicenna in 1565. By 1563, the London College of Physicians had decided to examine new candidates only on Galenic texts. The University of Tübingen, perhaps so advised by Leonhart Fuchs, went so far as to discourage in its statutes the reading of Arab authors. At the same time, the Arabs were erased from European learning, the classics were sanctified as symbols of the humanist revolution. The Latin humanists went so far as to believe the classics had been infallible and were superior to empirical observation. 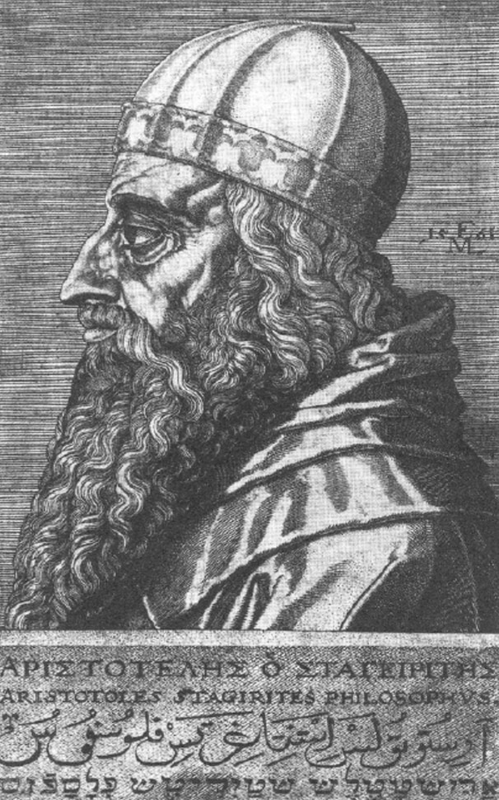 When, for example, the anatomist Andreas Vesalius in his legendary De humani corporis fabrica (1543) attacked the infallibility of the Greek-Roman physician Galen, his former teacher Jacobus Sylvius answered that Galen had not erred, but that instead the human body had changed over the centuries (Jacobus Sylvius / Jacques Dubois, Vaesani cuiusdam calumniarum in Hippocratis Galenique rem anatoicam depulsio. 1551). And when nobody could find the small holes which Galen assumed to perforate the heart septum, two Dutch professors Otto Heurnius and Adriaen van Valkenburg sought to do the truth a favour by creating the holes themselves before showing a heart to their students (F.C. van Leersum. Vesalius. Nederlands Tijdschrift voor Geneeskunde. pp. 4-16. 1915). It may be observed that the fanaticism of the Latin humanists is very close to religious fundamentalism. We should not forget that the sixteenth century was the age in which heretics were burned almost on a daily basis. It was also the time in which the Spanish Inquisition enforced conversion of all Muslims and Jews in Spain, only to expel them, and all Arab Christians, in 1609. However, this short period, roughly between 1490 and 1560 with a climax in the 1530s, had made its impression on the self-image of European civilisation. Whereas the Scientific Revolution, as in the critique of Vesalius on Galen mentioned above, actually involved a break with authoritarian humanism, the fanatical celebration of classical culture quite erroneously came to be understood as having been the cause of Europe’s awakening to modernity. Whenever in the future any progress would be made, popular belief would praise classical Greek authors as having been the inspiration, even if the progress was made on the basis of research done by Arabs. Whenever in the present day an ordinary person comes across the theme of Arab contributions to modern civilisation, they reduce it to the Arabs handing over the Greek texts – which he thinks did not belong to them anyway – to their true inheritors, the European Christians. The Arabs themselves never contributed anything. The Divina Comedia by Dante Alighieri (Sicily, 1265-1321) probably is the best illustration of the paradoxes involved. Dante tells the story of a journey through heaven and hell which was inspired by Sufi accounts of the ascension of the Prophet Muhammadsa. The work influenced Christianity even to the extent that the concept of purgatory was adopted by the Catholic Church. (Prophet Muhammadsa offered the unique teaching that hell is a means to purify the souls of sinners, after which they are all allowed to enter paradise. This teaching was continued by the Muslim mystics; Dante was probably influenced by the writings of Muhyuddin ibn Arabi [1165-1240] [See Miguel Asin Palacios, La escatologia musulmana en la Divina comedia. 1819]. The Catholic concept of Purgatory is a partial adoption of the Islamic teaching, in which forgiveness is allowed only for moderate sinners]. Despite the strong influences – or indeed because of them – Dante not only remains silent about his sources of inspiration, but even pictured the Prophet Muhammadsa – God forbid – in the deepest corner of hell. The Danish humanist Melchior Lorck could by the second half of the sixteenth century again place Arabic among the prime languages in the sciences, as shown by this impression of Aristotle dated 1561 | Sievernich, Europa und der Orient, Bertelsmann 1989. The Renaissance is an extremely important icon in our civilisation. It could be compared to the redemption by Jesus Christas, in the sense that the European myth either subconsciously or consciously believes that it is a unique event responsible for the progress of modern science and the apparent success of modern democracies. Like the blessing of the Holy Ghost, the moment in the sixteenth century when Europe awoke to its Greek past makes European man, in his mind, superior to all other civilisations which were not blessed in the same way. The celebration of classical heritage at the start of the sixteenth century was, however, not the cause of progress and awakening as it is generally believed to be. The progress had been made much earlier, in the twelfth to thirteenth centuries, when Arab learning inspired a wave of learning, offered humanist scholars their ideals and disciplines and set the example for the European universities. The early sixteenth century was rather the construction of an exclusive Christian European identity within the world of literature and science. Latin humanists created a movement imitating the Arab tradition in its key values, but distinguished itself by classical Latin as its lingua franca and the classical authors as its founding fathers. We cannot fail to observe elements of jealousy and fanaticism in the vigorous cleansing campaign against Arab elements by the proponents of the sixteenth century Renaissance. The sanctification of the classical Greek authors at the expense of centuries of scientific work was dogmatic and slowed down scientific progress. It cannot be surprising that this idea would not survive for long as a model of practice. Today, it is painful to watch how popular culture excludes Muslim immigrants by regarding them as a desert people who have come to consume the civilisation, which allegedly they had no part in building. Science and civilisation however, are projects of mankind as a whole. The torch of science and civilisation had moved from India, China and Persia to remain with the Muslims for a thousand years before being truly taken over and appropriated by Europe. As the death and resurrection of Jesus Christ never redeemed Europe from its sins, the death and resurrection of Greek civilisation never offered it any progress. It rather caused science to become limited and ethnocentric in vision. The ethnic cleansing of history by a mythical Renaissance should be replaced by an international vision in which credit is given where credit is due. If a true image of history is shown to our youth in their educative years, perhaps the European sense of superiority would see some moderation and immigrants would receive a sense of self-esteem, which would contribute both to historical and social justice.